On the 15th anniversary of Vishal Bhardwaj's Maqbool (2004), a look at the film's masala origins in the Indian adaptation of William Shakespeare's Macbeth in the new book, Masala Shakespeare: How a Firangi Writer Became Indian, which examines the influence of the Bard in Indian cinema. Jonathan Gil Harris, author and professor of English at New Delhi's Ashoka University, brings an unique and interesting perspective to the films and plays that Shakespeare shaped in Indian cinema. In this section from his book, Masala Shakespeare: How a Firangi Writer Became Indian, he breaks down key elements of Vishal Bhardwaj's Maqbool (2004), starring Irrfan Khan, Tabu and Pankaj Kapur. At first glance Maqbool is not a masala movie. It seems to belong instead to the genre of Indian parallel film, featuring actors – Naseeruddin Shah, Om Puri, Irrfan Khan, Tabu, Pankaj Kapoor – associated with that niche. 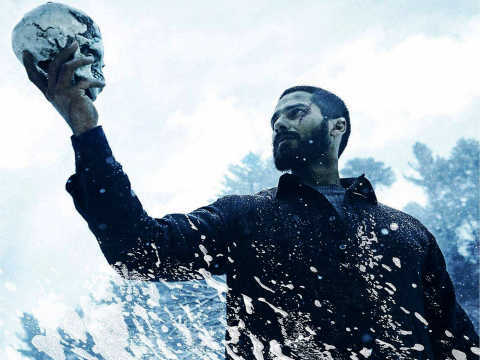 Its opening scene, presenting an astrological chart shot in the night with eerie chiaroscuro plays of light and shadow, makes clear that [Vishal] Bhardwaj’s cinematic vocabulary owes a large debt to Western film noir and horror. And his depiction of a mafia ‘family’ self-consciously glances at Francis Ford Coppola’s The Godfather (1972). Yet Maqbool is a parallel film that slides into masala. 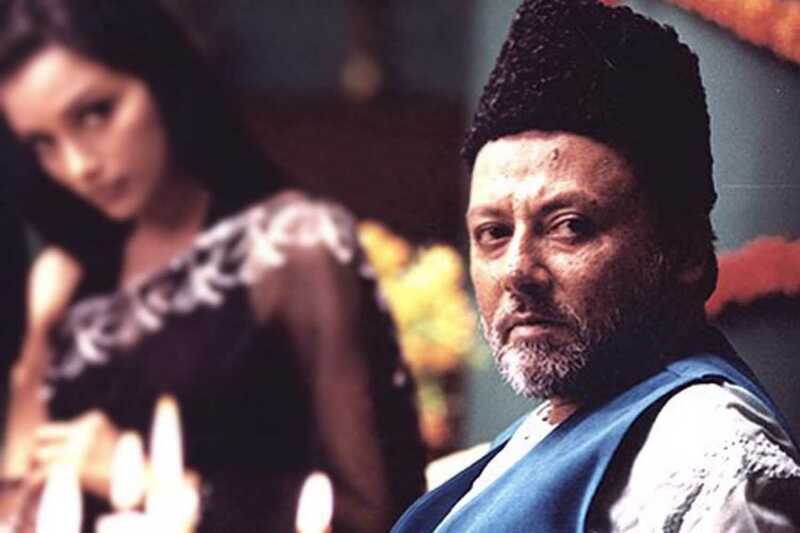 Abbaji (Pankaj Kapoor), the Bombay mafia don who doubles King Duncan even though he looks and sounds like Marlon Brando’s Don Corleone morphed into a toad, has a business interest in commercial Hindi film and takes a particular shine to a Bollywood starlet. That interest begins to creep into the style of Maqbool. 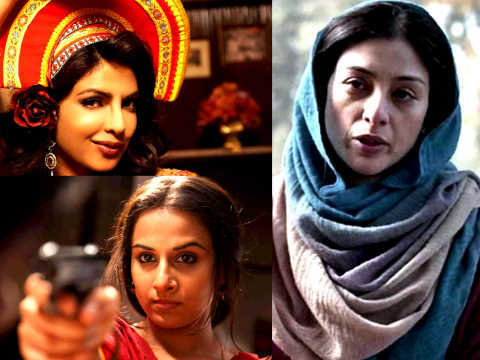 As the film progresses, it acquires elements of a commercial film that could have been bankrolled by Abbaji: musical numbers, a sentimental romance subplot involving the Fleance character Guddu and Abbaji’s daughter Sameera, and a tale of forbidden love involving Maqbool (Irrfan Khan) and Nimmi (Tabu), the counterparts of Macbeth and Lady Macbeth. The film cannot avoid the masala multiplicity of its location, Bombay. And, as we will see, this multiplicity is rooted in a conception of masala time. 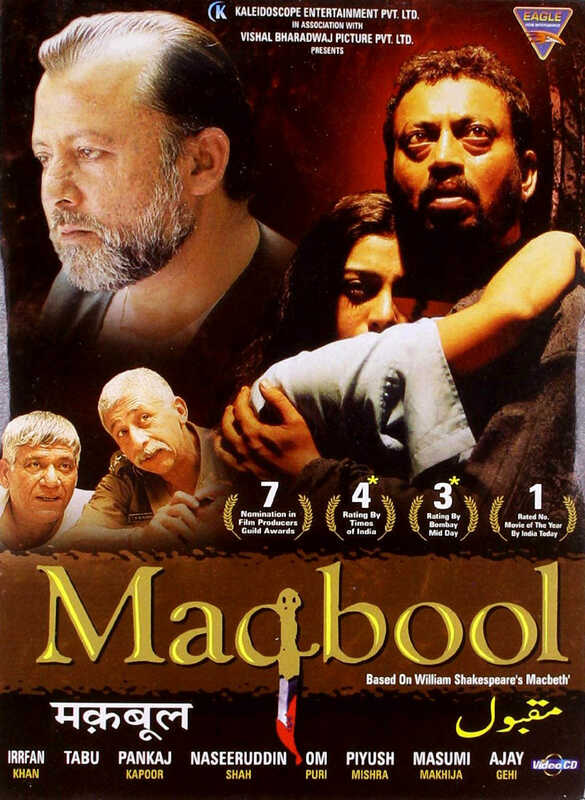 In fact Maqbool draws deep from the well of the Hindi gangster movie genre, which involves many masala elements. Crooked cops, dastardly dons and shocking shoot-outs notwithstanding, these gangster movies often dream of an inclusive pluralism in terms of religious community. At a time when Muslims have become increasingly absent from Hindi films, Bollywood gangster movies remain full of them, often in Bombay-located dramas that reproduce the distinctive linguistic and cultural mixtures of the city. Moreover, even as these films send an ideal of Muslim/Hindu solidarity literally underground, they do so in a way that does not straightforwardly demonize either Muslims or the ideal of cross-communal concord. If anything, as Shah Rukh Khan’s recent film Raees (2017) shows, the figure of the underworld Muslim gangster can be a Robin Hood figure, modelling a hope for a more inclusive world that a corrupt establishment otherwise disallows. 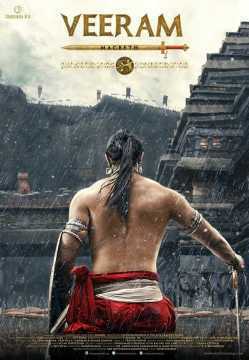 In recent years gangster Shakespeare has become something of a subgenre in Indian cinema. Although these film’s locations have shifted from Bombay, they draw on several elements of Bollywood gangster movie. [Maqbool] presents us with a cross-communal world very much like like of Zulfiqar (2016). At first it might seem that the film’s gang is all-Muslim: we see assorted members in skullcaps, performing namaz, and attending an ursat the dargah accompanied by a qawwali soundtrack. Even the Lady Macbeth character Nimmi is a devout Muslim; the twist is that she is Abbaji mistress, but falls into a secret affair with Maqbool. Yet it is only after a Mexican stand-off between two factions within a gang that we realize this ‘Muslim’ outfit also consists of Hindus. Abbaji’s crime family is mixed, its kinships extending across communities. Maqbool’s ‘Kaka’ is Hindu, and Kaka is in turn beholden to his Muslim Abbaji. Abbaji marries his daughter to the son of Kaka, and we see a mixed engagement ceremony with Muslim and Hindu paraphernalia. Abbaji also consorts with Hindu politicians, and becomes sexually involved with a Hindu filmstar. 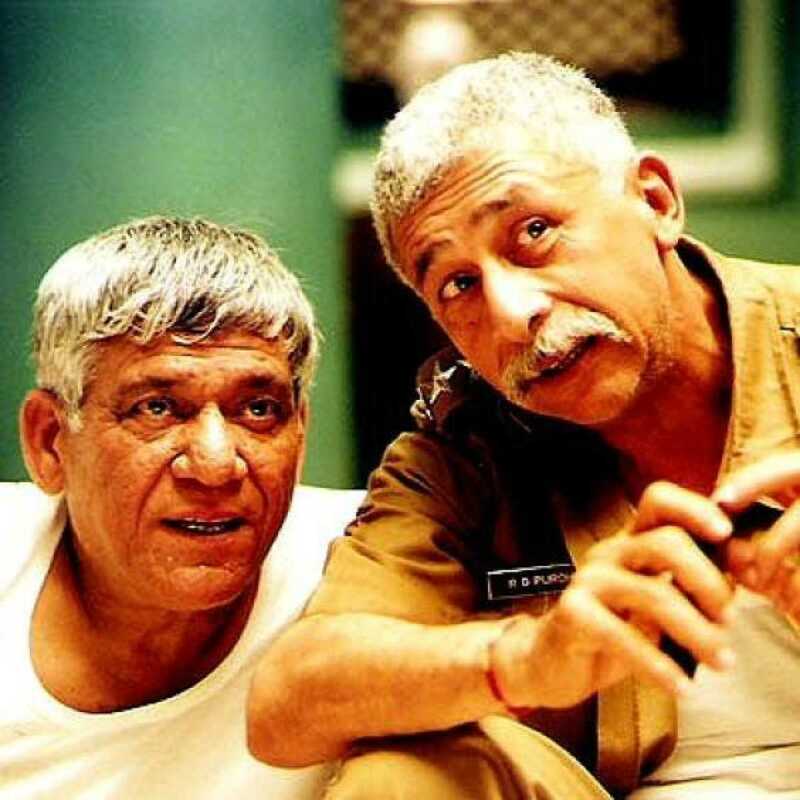 And Abbaji’s men, particularly Maqbool, are also in league with two Hindu Brahmin cops, Inspector Panditji (Om Puri) and Inspector Purohit (Naseeruddin Shah). It is in this latter pair that we begin to see the workings of masala time in Maqbool. Maqbool’s winking embrace of the old-style filmi masala that haunts its titular character’s future repeats something of the logic of Macbeth. 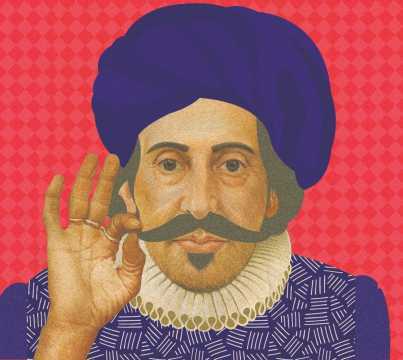 Shakespeare’s titular character longs for a masculine singularity that is impossible in an irreducibly double world; similarly, Maqbool may speak the high language of arthouse noir cinema yet cannot escape the old masala mixtures of Bombay and Hollywood. 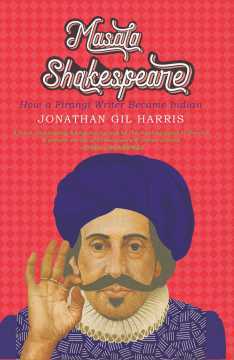 Excerpted from Masala Shakespeare: How a Firangi Writer Became Indian by Jonathan Gil Harris with permission from Aleph Book Company. The book is available on Amazon and Flipkart. You may also find it at your favourite bookstore.